Celebrating Women’s History Month | Patricia DeMarco Ph.D.
Today is International Women’s Day, and March has been declared Women’s History month. This is one time in the year we call to mind the women who have helped to shape our world. They are too numerous to enumerate all in one place, and the perspective is always a personal one. We all have our heroes. Mine are Rachel Carson, Theo Colborn and Wangari Muta Maathai. These women are trail blazers in our time and practitioners of the ways to live in harmony with nature. I have been reflecting on the new direction and the new challenges of the 21st century, challenges that already press upon us with the inescapable progression of natural law. These women recognized that the laws of nature are not negotiable, but hold the wisdom of millennia to guide our path forward, if only we heed the message and adjust our behavior. Rachel Carson galvanized global awareness of the threat of pesticides and other persistent organic chemical contaminants on living systems. 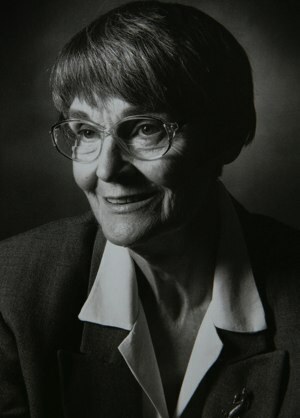 Her book Silent Spring and her testimony to Congress in June 1963 helped to mobilize a national movement to improve the environment. The rare decade of consensus in the public across partisan lines allowed the enactment of laws to protect Clean Air, Safe Drinking Water, Coastal Area Management, Toxic Substances Control and Endangered Species. Her core message of taking precaution in exposing living systems to the unintended effects of man-made chemicals remains an important message for us today. She called for people to respect and protect the natural world and to live in harmony with natural systems of which people are a part. Rachel Carson’s words speak to us today urging that we be very clear about what we oppose, and what we STAND FOR. Theo Colborn, who died in December 2014, documented the detailed mechanism of action of many of the chemicals released into the environment through things we use every day: personal care products, food additives, plasticizers, emulsifiers, preservatives, fragrances, and myriad others in addition to pesticides, herbicides, fertilizers and industrial chemicals. Most of our environmental laws are focused on controlling the amount of admittedly toxic materials allowed to be released into the air, water or land, now a total of 5.2 billion pounds per year. We know that many of these materials act in extremely low doses to mimic the hormones that act as control messengers in our bodies, as well as the bodies of many other complex organisms. We see evidence of global contamination with man-made chemicals in the body burden studies done every two years by the Centers for Disease Control and Prevention. Their most recent report finds over 441 man-made chemicals in the bodies of the average American, and of these, 79 are known to cause cancer, mutations, or developmental abnormalities. Theo Colborn’s book Our Stolen Future called for action on controlling endocrine disrupting chemicals and spent her life working for reforms to protect public health. 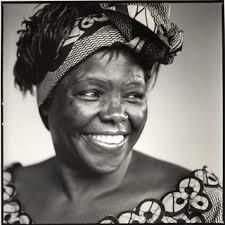 Wangari Muta Maathai founder of The Greenbelt Movement in Nairobi, Kenya is celebrated in her own country as a leader and a revolutionary reformer. Her Nobel Prize testifies to the power of her work empowering women to reclaim, regenerate and preserve the land by planting trees native to the area. Satellite views document the effectiveness of her work as a million trees reclaim the traditional vegetation and cultivation patterns of her land. Wangari Maathai put into action the process of living in harmony with nature, institutionalized and protected in law and practice. In addition to these heroic public figures, I am always mindful of the strong women who made me who I am today, my mother Marcella DeMarco and my Nona, Pasqualina DiNardo DeMarco. My Mother pursued a career as a teacher, coach, mentor and leader at a time when most of her peers settled down to be happy home-makers after World War II ended. And I stand in the long comforting shadow of my Nona whose intelligence and wise counsel drove the success of our entire family in the New World. Her courage, wisdom, patience, love and humor sustained us all through the hard times, and to the aspirations to greatness. In the seventh decade of my life, I have decided to run for elective office to help make the community I live in a better, more resilient and equitable community living in harmony with the laws of nature. I take courage from the many successful women whose legacy has changed our world for the better. Categories: Uncategorized | Tags: Rachel Carson, Theo Colborn, Wangari Maathai, Womens History Month | Permalink.